There is a really interesting and growing phenomena in high end audio these days, that of the “retro-cool”. Everyone knows vinyl is making a huge comeback, but whats interesting is that it’s recently also making a main stream comeback. Hoarded vinyl collections are no longer the exclusive domain of dedicated audiophiles. Extensive vinyl collections are showing up everywhere, from college dorm rooms (again) to trendy cafés in chic neighborhoods. And what is the impetus for vinyl’s rebirth? Based on the systems I’ve seen at such venues, it’s not for sound quality. Many of vinyl’s biggest recent fans aren’t old enough to have loaded a CD into a tray and push play, let alone drop a needle in years past when that was the main way to play music. So it can’t be nostalgia since that implies having done it before and remembering it fondly. That leaves the inescapable conclusion that it must be the “retro cool” factor. Like so many fashion trends that are being revived, so is vinyl. It’s amazing to me, that people are listening to music on vinyl records for the first time, in spite of (or possibly because of) the fact that they have never before listened to music in such fashion. It’s like the “cool, watch this, it plays music” vinyl revolution is some sort of mysterious new invention. I’ve also noticed vinyl product placements in modern movies and television, and not necessarily in the context of the era portrayed. A scene from House of Cards comes to mind, when a modern day woman drops a needle onto a record to listen to music on an otherwise ordinary home audio system, then the camera zooms into the spinning record, or the many vinyl product placements in the Netflix TV show “Suits”, not to mention that the main character has filled an entire wall of his commodious office with records and has a high end (but not too high end as to come across as esoteric) turntable there to play them. I had to scratch my head a bit over the vinyl product placements since the motive isn’t as blatant as when you see an obvious logo placement of a Dell, Apple, or HP computer, which is clearly paid for as a form of advertising (http://nypost.com/2015/03/02/house-of-cards-littered-with-product-placements/). Then it dawned on me. If the music industry (which arguably got hammered by the MP3 revolution) gets the next generation to adopt vinyl they will be able to sell the same music all over again in yet another “new” (old) format. So there it is, the profit motive. As usual, the music business follows the money. But, there is a far less insidious trend in the industry in regard to the gear itself. 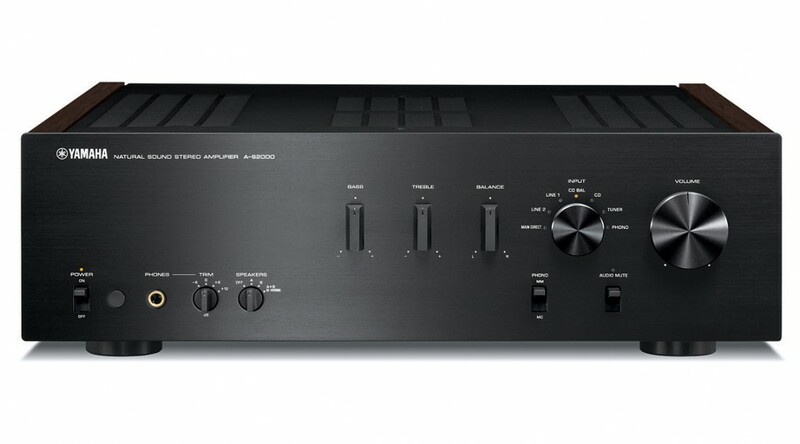 At first glance the Yamaha integrated amplifier (Integrated amps or separates?) in the photo pictured above would lead one to believe it’s vintage (The vintage “crap shoot” ). Nope, just the styling is adopted from their amplifiers of the 70s. Nearly everything else about this amplifier is modern, and mostly in bad ways (integrated circuits and digital manipulations, Op Amps are holding back my digital quest). It makes sense to be sure, just as the auto industry is going for the “retro cool” look for so many of their latest offerings. They tried to sell us futuristic cars with side panels over the wheels (to make them look like they could fly?…) and other styling cues that impaired functionality. Form follows function and the most esthetic designs are always those that are true to their purpose. So while I’m happy to see those idiotic flashing lights and elaborate displays on audio gear finally disappear, I can’t help but think the whole retro styling thing is a farce. What’s sad is that what’s inside isn’t what was inside from the era it depicts, when sound quality still mattered and a good stereo system was still central to home entertainment.